There are few things the folks in Hollywood like more than making movies about making movies. And if the movie puts the filmmakers in the role of hero, then that’s even better. 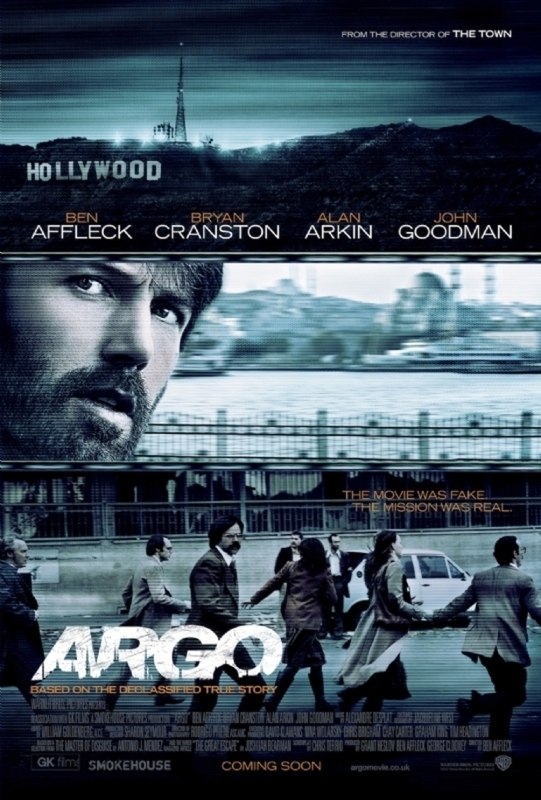 So no wonder everyone — on both coasts — is going gaga over Argo, Ben Affleck’s excellent new film about a rescue mission disguised as a movie-location-scouting mission. True story: In 1979, during the early days of the Iran hostage crisis, a group of six American officials escaped the U.S. embassy and hid in the home of the Canadian ambassador. But they couldn’t stay there forever; if they were found by the Iranians, they’d be executed in the street. Enter Tony Mendez (played in the film by Affleck himself), a CIA operative who comes up with the hair-brained idea to “send in a Moses” who will dupe the Iranians into thinking he and the other Americans are part of a Canadian movie production crew. That way, he’ll not only extricate the six and bring them home, he’ll be able to do it partly with the Iranians’ cooperation. What’s the point of giving a bad review to The Odd Life of Timothy Green — or of even reviewing it at all? This is one of those critic-proof, middle-of-the-road movies that arrives in theaters just as quickly and quietly as it will disappear. It has no intention of being a blockbuster (no chance, really), and no great ambitions other than being an audience-pleasing film you can bring your family to. 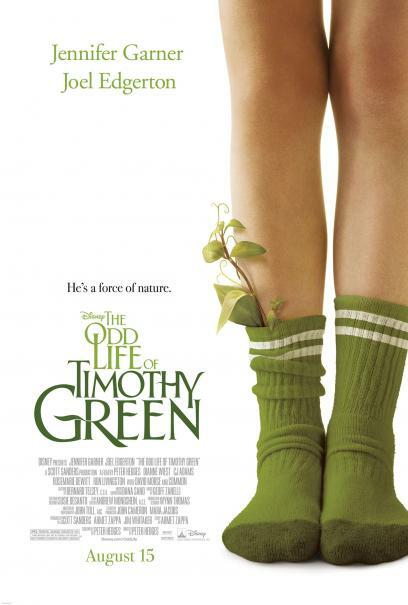 At that, Timothy Green succeeds. Sort of. 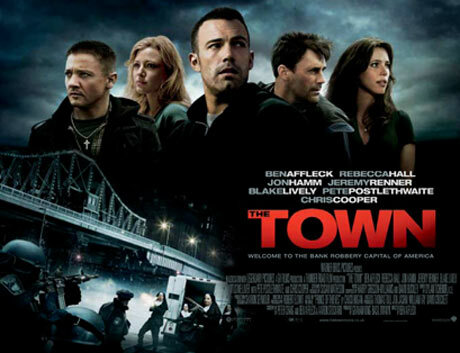 Proving that Gone Baby Gone was no fluke, Ben Affleck’s The Town is an excellent addition to the Made in Boston canon of films. Yes, Valentine’s Day, with its holiday-centric story and large ensemble cast (including Julia Roberts, Bradley Cooper, Shirley MacLaine, Anne Hathaway, Hector Elizondo, Jessica Biel, Ashton Kutcher, Jessica Alba, Topher Grace, Taylors Swift and Lautner, Grey’s Anatomy stars Patrick Dempsey and Eric Dane, and my beloved Jennifer Garner), wants to be Love, Actually. But it’s not. It’s not even as good as last year’s large-ensemble rom-com, He’s Just Not That Into You (which I actually kind of liked). Rather, it’s over-stuffed, overly long, really obvious, predictable, and pandering, and just an embarrassment for nearly everyone associated with it. Sure, I didn’t groan as often as I thought I would, and for the first third or so, I thought this was actually kind of a light, fun flick, but some plot twists (such as the ones mentioned above) you can see coming from miles away and director Garry Marshall (Pretty Woman) takes his sweet time letting them play out. Ultimately, this is a film that’s even more of a chore to get through than the day on which it’s based. Neither a good date movie nor a worthwhile anti-holiday movie, Valentine’s Day instead confirms that February 14 is the stupidest of days, the most Hallmark of holidays. (And I actually like Valentine’s Day!) That’s why the movie gets a D from me. Jennifer Garner was on The Late Show recently, and David Letterman got the chance to play doctor for her. Suffice it to say, he made me really jealous. 🙂 Watch for yourself. You may recall a couple weeks ago that Sarah Silverman announced on her boyfriend Jimmy Kimmel’s show that she was, ahem, sleeping with Matt Damon. Well, last night on his post-Oscars show, Jimmy got his revenge with the help of guest — and Matt’s best bud — Ben Affleck, not to mention a boatload of big names (watch for the cameos by Brad Pitt and Harrison Ford). Check it out. Not to state the obvious, but if this has any shread of truth (and yes, yes, I know it’s a big joke), then that certainly paves the way for me and Ms. Garner. What can I say about this year’s Oscars? It was the best, most enjoyable show in quite some time. The winners were spread out across a few films (even The Bourne Ultimatum won three), and most of the winners spoke very well. Of course, I was very happy about Glen Hansard and Marketa Irglova winning Best Song for “Falling Slowly,” the song from Once (and I loved what Glen and Marketa had to say — and that Marketa got a second chance to speak), and I liked that There Will Be Blood won not only for Best Actor but also for Best Cinematography. I liked the “surprise” of Tilda Swinton winning Best Supporting Actress for Michael Clayton too; that category could have gone any one of four ways, with all four deserving of the award. But really, my favorite part of the show was not Jennifer Garner (surprise!) or even Keri Russell but Jon Stewart, who simply rocked as the host. He had so many great lines, he had a lot of confidence, he was hip and cool, and he just did a really nice job. I loved when he came back from a commercial break and was playing Wii Tennis. (Here’s a link to the text of his very funny monologue.) The show felt like it moved very quickly, even if it did last about 3:17, and I just had a great time watching. I even enjoyed the montages — especially the Bee one (me! me! me!). Props to Jonah Hill and Seth Rogen for their presenting. And on the subject of Jen Garner, no one knows what was up with that Gary Busey ambush, but here’s how he defended himself. So, another year over. Now onto a new year of movies.